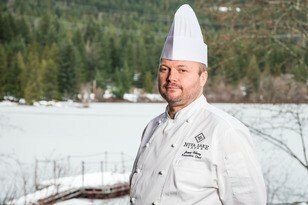 Nita Lake Lodge, Whistler’s only lakeside boutique hotel, is thrilled to announce the appointment of Executive Chef James Olberg. Olberg brings a strong knowledge of French techniques and a deep love of West Coast ingredients, combining a respect for traditional cooking methods with modern flare. Olberg comes to Nita Lake Lodge following his recent trip to the 2017 Bocuse d’Or culinary competition in Lyon, France where he represented Canada. His culinary career began at the King Edward Hotel under the guidance of John Higgins, where he was trained in a classic French Cuisine. His previous experience includes being the Executive Chef at Niagara’s Queen’s Landing Hotel, which was named to the Condé Nast Traveler Gold List, and the opening Chef at Toronto’s brasserie La Société. Over the past years, Chef Olberg expanded his knowledge on local and west coast cuisines by working in kitchens in Vancouver, learning to respect and value local farmers and their produce. Aura Restaurant, Nita Lake Lodge’s lakeside main dining room, will be taking on a whole new glow this December when a design refresh brings elements of the outdoors inside, with modern twists on natural materials that complement the Canadiana style of the rest of the hotel. Aura Restaurant will be re-born with a new menu from Olberg that continues to focus on high-quality west coast ingredients with a global influence. A new open kitchen concept will allow guests to experience the Culinary Team’s energy while enjoying the serene and unique lakeside setting. 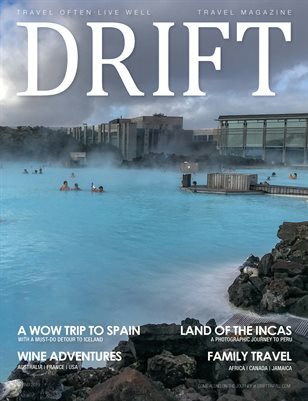 The menu will all encompass our guest’s needs, catering to the foodies of today who are looking for creative and decadent dishes, including vegan and gluten free choices, allowing them to savour flavours they enjoy without making compromises. Fix Cafe will continue to be a creative hub, with an abundant selection of house-made and healthy treats, including vegan and gluten free options, while Cure Lounge & Patio will be the place to go for hand-crafted cocktails and grazing on share plates. Across all Food & Beverage outlets at Nita Lake Lodge, Chef Olberg will be focusing on supporting local farms and utilizing the rooftop garden in the summer to make the most of fresh herbs and home grown vegetables.